Originating from Western Canada, our beef is certified Canada AAA categogy and deemed to be one of the most tender and tasty meats on the market. Our steaks, with their typical AAA category marbling, are carefully aged for 18 to 21 days, making them even more tender and worthy of the highest honors. We offer our beef in all desired cuts, sizes and parts. Our experienced butchers will prepare your steaks, roasts, cubes or ground beef with the utmost care and commitment to quality. Bred exclusively in Quebec and grain-fed, our category A chicken is tender and delicious. Renowned for its quality, you are assured of its freshness because it is vacuum packed and deep-frozen at the time of its preparation. 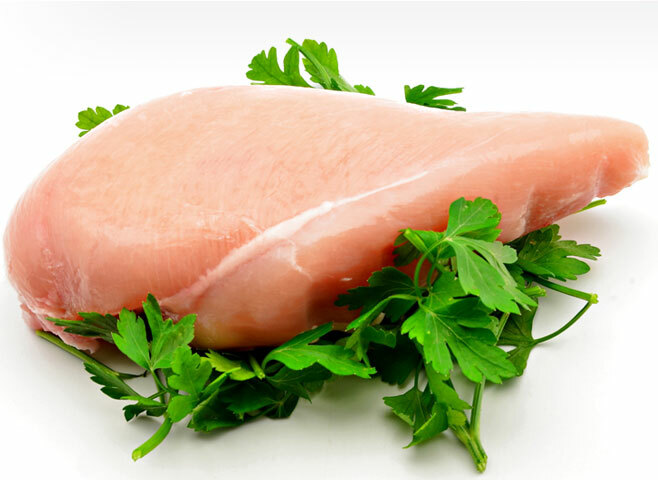 Whether it’s whole, in breasts, cubes or any other desired cut, our chicken is not churned or injected with water. Nothing but natural goodness! You won’t find any fresher elsewhere ! Our fish is prepared, vacuum packed and deep-frozen directly on our fishing boat, as soon as it’s caught. It’s quite different from fish that is spread on racks since who knows when… Shrimp, scallops, salmon and all sorts of fish are available in any season. 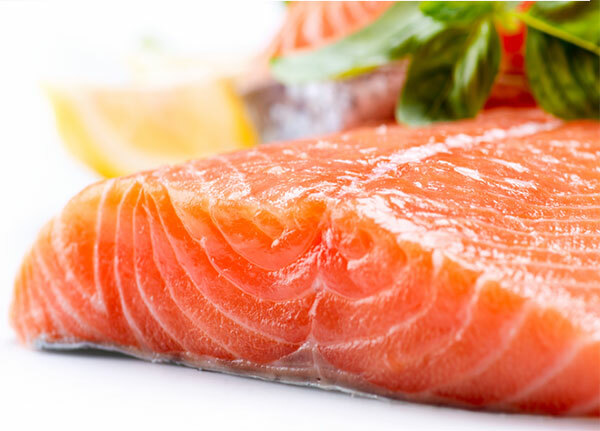 With us, you can enjoy in confidence a wide selection of fish and seafood straight from the sea. Bred on Quebec farms, our pork is simply delicious. 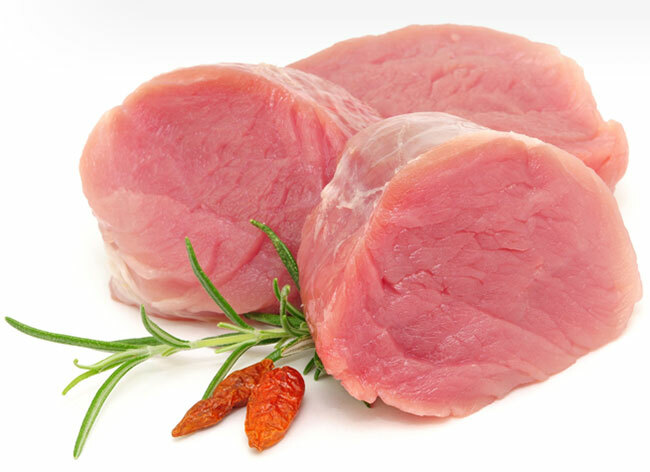 Quebec pork is renowned all over the world for its quality, its taste and its tenderness. 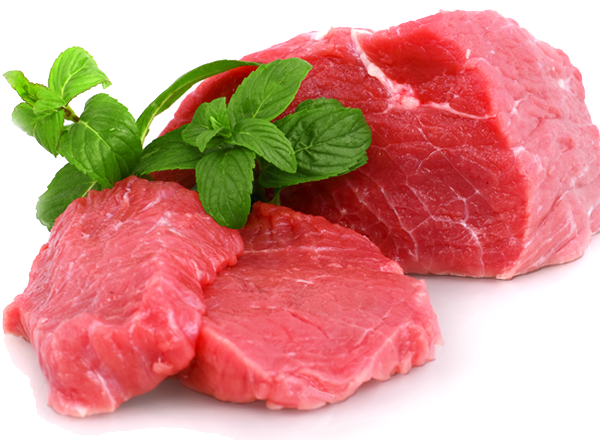 Carefully bred in order to produce a lean, tasty and nutritious meat, it proves to be an excellent healthy choice. Moreover, like we do with all our meats, we remove between 90% and 95% of our pork’s fat, leaving you with only the best parts of the meat. Be it as tenderloin, chops, roasts, rack or ham, you can savour it any which way you chose. Delicate meats for refined palates. 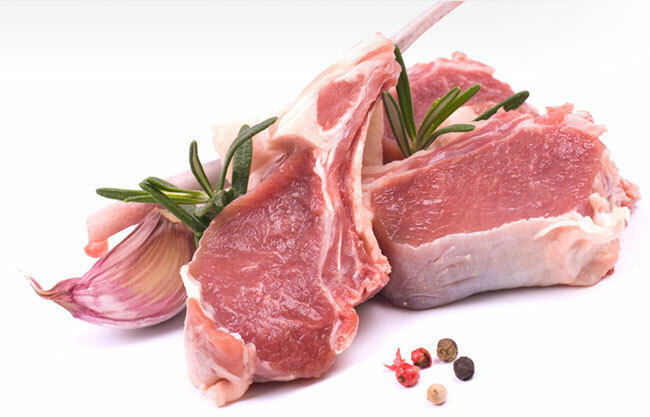 Forever deemed to be highly refined meats, our selection of lamb and milk-fed veal certainly honors that tradition. Recognized my many for its culinary qualities, the (Écolait) milk-fed veal is carefully prepared according to your prefered cut (fillet, faux-fillet, chops, escalopes, rib or blade roast, shank, etc.). The same care in preparation is given to our juicy and tender New-Zealand lamb, which is always so tasty. Our game come exclusively from Quebec and are bred outdoors on a certified farm that provides them a healthy environment that suits their wild nature. 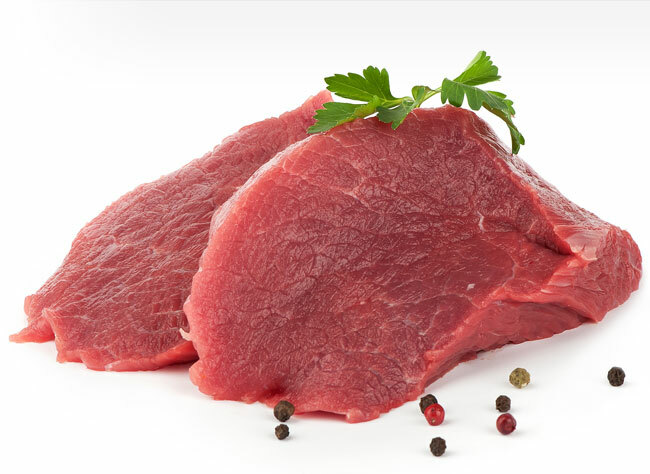 We offer you a wide variety of high quality wild meats with exceptional nutritional value. Our selection will satisfy all tastes: buffalo and deer, ostrich meat for fondue, elk, boar, duck, kangaroo or rabbit terrines, rillettes, mousses, etc. Furthermore, these meats contribute to a healthy lifestyle, since they are particularly low in cholesterol and saturated fat and have a high protein and iron content. For anyone who is concerned with their diet, these meats are a sensible choice. 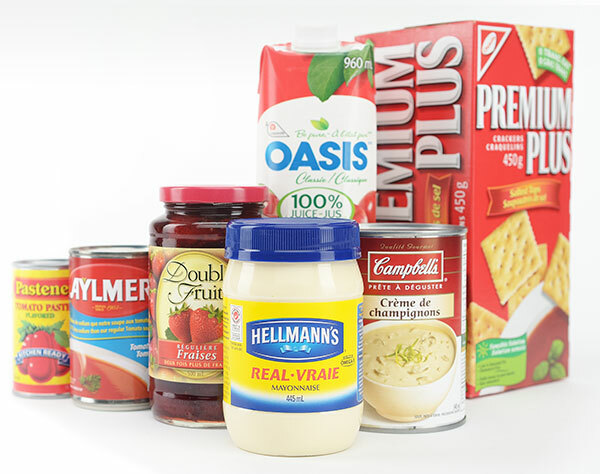 Just like the supermarkets, we offer a wide variety of dried food and non-perishable products like pasta, sauces, canned food, oils, dressings, cereal, rice, coffee, etc. 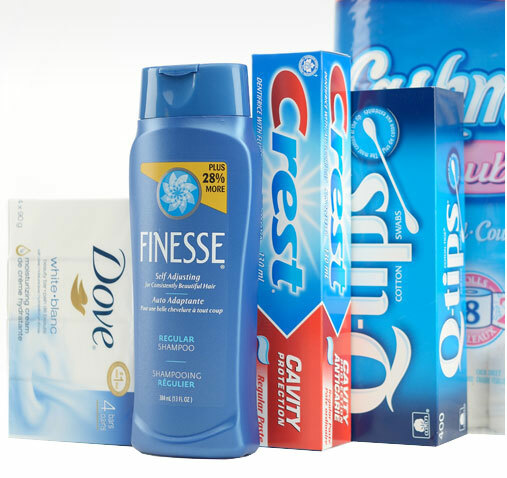 Our selection of hundreds of products will fill close to 90% of your grocery needs, in the same popular brands and sizes that you are used to buying. 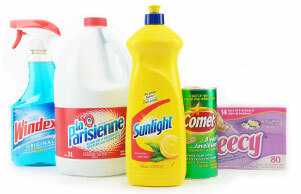 We offer you the most popular products in various sizes in order to satisfy your tastes and needs. You won’t run out of freshness in your freezer! Alimentation l’Epicier also provides you with a selection of frozen foods and products to make sure that you always have what you need on hand to prepare your meals : vegetables, juices, waffles, french fries, pizzas, etc. Add that to our wide selection of meats and your freezer becomes a haven of freshness. 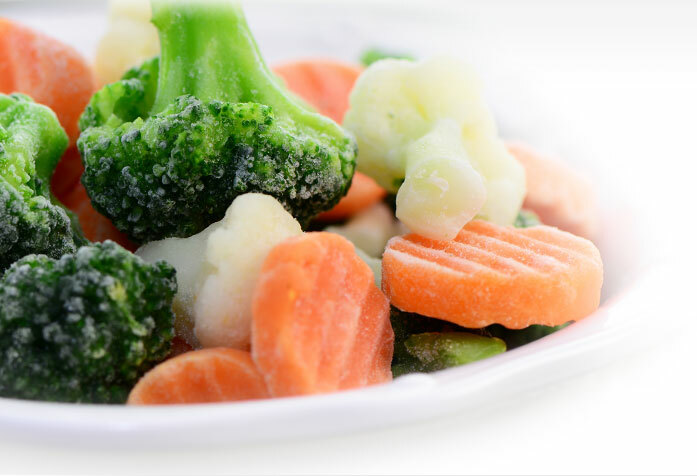 Since they are mostly frozen right after picking, blast-frozen vegetables retain their vitamins and nutritional value. Because we know that your time is precious and that shopping at the supermarket and at the pharmacy can prove to be lenghty, we offer you a true alternative. That’s why we have selected lines of pharmacy, personnal hygiene, packaging, cleaning and housekeeping products that you can add to your order according to your needs.